Home» Ethical Hacking | Kali Linux » How To Generate Payload - Backdoor Using ezsploit Tool and how to hack android device using ezsploit tool? How To Generate Payload - Backdoor Using ezsploit Tool and how to hack android device using ezsploit tool? 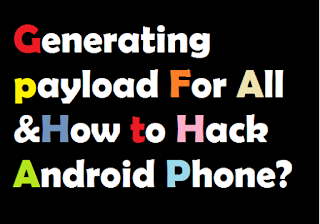 Hello guys , in this post today’s I am going to show you How To Generate Payload - Backdoor Using ezsploit tool and how to hack android device using ezsploit tool?” guys Actually hacking android phone is quite tough task but thanks to kali linux operating which makes the hacking very easy.You can do almost anything by using simply kali linux because it have many feature and tools.There are more then 500+ tool available in kali os. Today I'm going to tell the tool , you can create a backdoor for windows,linux and mac very easily with this tool. So friends Now see how to configure this EZsploit tool in kali linux.So follow below given steps carefully one by one. Warning : This post is only for educational purpose, we are not responsible for any illegal work done by you. Part1: How to create payload for windows, linux , mac & android ? Step1; First of all you need to open your kali linux terminal and enter this command “cd desktop” for going to your desktop because in desktop you need to install ezsploit tool. Step4; again execute this command ls , and You will now be able to see two files. Step5; Now to install this tool in kali linux, to install this tool first we have to give chmod permision. Type the command for this chmod +x ezsploit.sh and press enter button. Step6; Now you can run this tool easily, that give this command ./ezsploit.sh and press enter button. Step7; Now a screen will come having many option like payload, listen,exploit,persistence and many more option you will see there.Now here you need to first choose you are going to create the payload for type 1 . Step8; Now here you need to first choose you are going to create the payload for which operating system , i mean windows,linux or android .Now i assume that you are going to create the payload for android device the execute the associated number like 4 (Android is on fourth position among the rest option). Note : Here I am using Local Network for this, so I have local ip, if you are using on the public network then put your static ip. Step9; After that it will ask for Set LHOST IP ,simply here if you want to use your payload remotely then you'll need to enter your static ip here and press enter.For checking your ip simply execute this command in your terminal ifconfig and then Now enter the Set LPORT 4444 and then press enter button. Step10; You will see that the payload for Android has been created, you will find it in the Temp folder on the desktop. Part2: How to hack android phone using ezsploit? 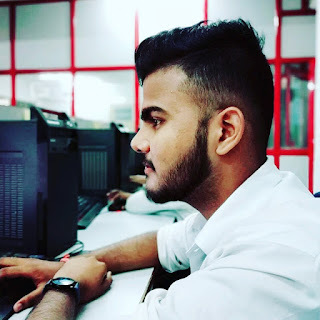 You learned to create payload for Android in Part 1.
you need to send this payload to your victim any how for example Email,WhatsApp,Facebook etc any other medium which you prefer easy.And when your victim double click on it then your payload is ready for sending the data of victim's machine. Step1; Now you open the tool again, and give this command ./ezsploit.sh and press enter button. Step3; You will now see that the Metasploit has been open in the terminal window. Step4; Now write the following command and after writing each command hit enter.